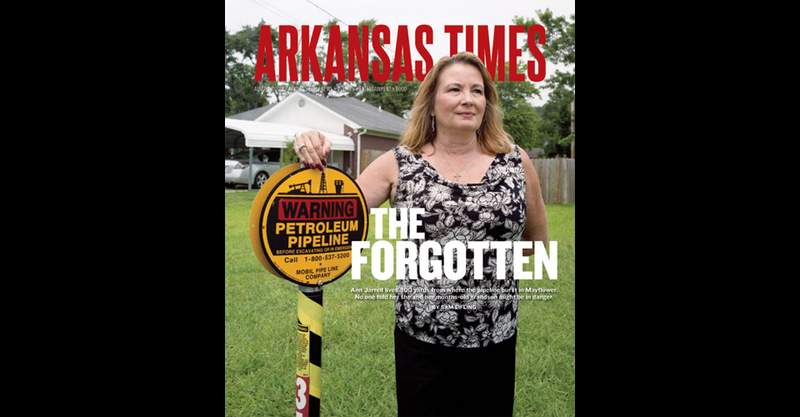 Sam Eifling’s cover story this week focuses on people who live in Mayflower just outside of the area where an Exxon pipeline burst a few months back. People immediately affected by the burst were evacuated. Those living just a hop, skip and a jump away weren’t really given any notice what-so-ever as to what was going down just a short distance away. Anyway, it’s a pretty good read. You can check it out by clicking right here. No other real design highlights for me this week. It was a tight issue. Less room for me to play around. But, one more article I need to point out is the Inconsequential News Quiz. This quiz (usually monthly) recaps some of the more strange news stories. It is always hilarious. This month’s edition is particularly funny. Read it.